I got your book two weeks ago. With vaccinations on the books, rather than try everything all in one go, I tried everything in stages. First I split up T's long afternoon nap into 2, then the early morning rises at 730am which we never would have thought of and then the earlier bedtimes. He went into his cot on Monday night for the first time since November with no arguments and has slept through the night for the last week. I can't thank you enough. So glad I got your book! I got it 2 weeks ago and my baby slept through last 3 nights in a row and went for a 13 hour sleep last night! Your book is fabulous!! I am just writing to you to say a huge thank you for helping us with our 7 year old sons sleeping. I bought your book and it was brilliant so helpful and to the point, it took us a while to get there but we persevered and came out the right side. H, our son now sleeps for us no bother at all and looks forward to sleeping in his bed. It has changed us all so much for the better. Wanted to say thanks to your book we’ve been working very slowly and gradually since 6 months and our now 8 month old sleeping through the night. Took it much slower than others probably but got there in the end. Love the videos you are sharing they are so helpful thanks! Your book is great- practical advise and doable. Your plan changed it all! Your book is fantastic. 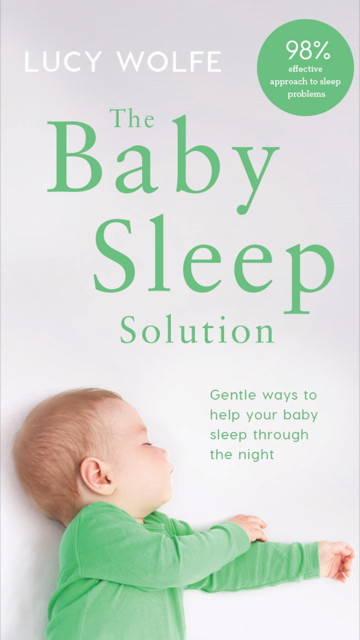 I love the priority of ensuring that baby feels loved, safe and secure..so many other books make it seem like sleep is a challenge you need to fight with your poor baby while your approach is all about them and their legitimate need to be loved for and cared for by it's parent's. As a mother of a new-born your book has been a godsend. Thank you for being so generous with your time for also making videos on instagram. All your sleep questions are answered in the book and if you read cover to cover. Mine is dog-eared and highlighted at this stage but I think you have to read every section and try every suggestion for at least a few weeks. from my experience there is no magic bullet...all the small tweaks suggested eventually bring results. I was up every hour with my new-born. Within 7 days of following ALL tips religiously (you can't be a la carte) my baby now sleeps from 650pm-6am and only requires one feed max (sometimes he skips it). You need determination and loads of patience but worth it. Dear Lucy Thank you so much-my husband and I find your book fantastic and it definitely helped us get A into a routine of 630pm-630am-anyhow, thanks Lucy-you're fab! 7 month old is sleeping through! Decided to buy book and it fixed everything. Wow ..... after hours upon hours of reading on the net, listening to everyone’s else’s opinion we heard Lucy was in Tesco but couldn’t make it. Decided to buy book and it fixed everything. Highly highly recommend. Please please don’t think ur little one is unique and just won’t sleep. This book has the answers. I bought this book and I’ve to say it’s the best book ever. I bought this book and I've to say it's the best book ever. 2.5 year old who never slept right..now doing full nights most nights 5 out of 7 but it's better then 7 nights of night terrors and screaming. So thank u. And keep up the good work. Your book is my bible Lucy. Your book is my bible Lucy. Three great sleepers thanks to your approach!! Literally I got immediate results! I’d just like to thank you for sharing your wisdom!